Apple brings a great feature to Auto unlock all Macs running with macOS Sierra help of WatchOS 3 supported Apple Watch. So from now, while you will go away from Mac and Mac screen goes sleep then you don’t need to enter log-in passcode to unlock it, even though use Apple Watch to make it unlock. It’s a kind of fast, secure and time saver trick for Sierra (macOS 10.12) users. But you can use this way after the setup/ Enable Auto Unlock macOS Sierra with Apple Watch. 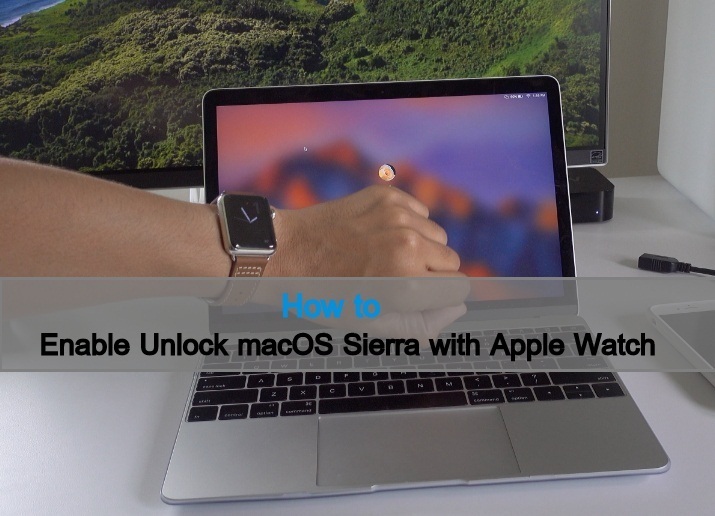 We have knowledge to set up Auto unlock feature between macOS Sierra and WatchOS 3. 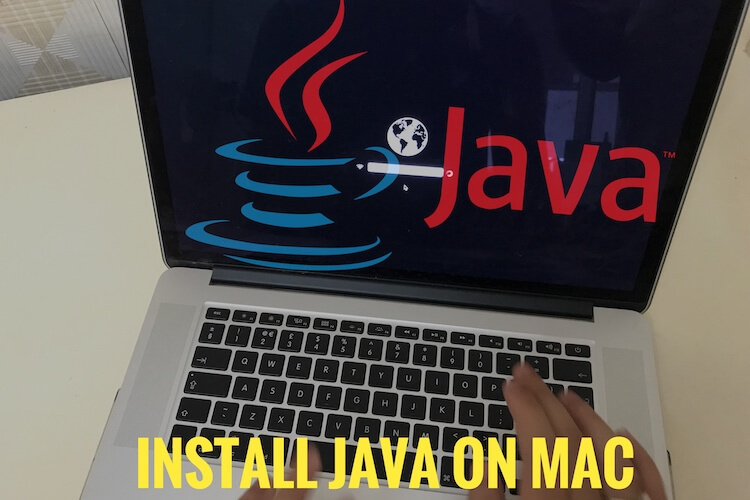 Inherently, macOS 10.12 compatible MacBook Pro, MacBook Air, MacBook users are eligible to take advantage of this wonder feature. You must have enabled Tow factor authentications. Keep remember – it’s different than two steps Verification. To get more help to turn on Tow factor authentication get steps here. Apple Watch must be on your wrist. Otherwise Auto unlock macOS Sierra feature won’t work. Step 1. Go to Apple logo then Open up System Preferences. Step 2. Click on Security & Privacy. Step 4. 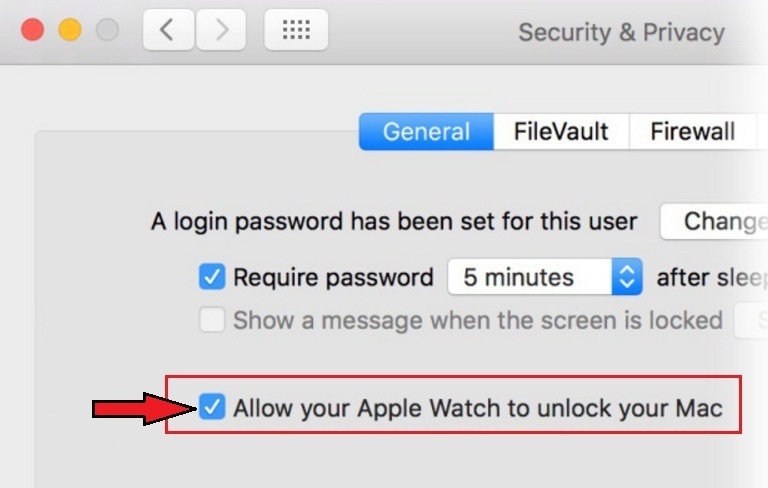 So now, do check mark in box next to Allow your Apple Watch to Unlock you Mac. Step 5. You’ll be asked, Enter your Mac passcode, enter it and then Click OK.
(you will see Turning On Process). Step 6. Now close your Mac’s lid and then open up the lid again at that time Mac screen shows unlocking Mac with Apple Watch. So take your Apple Watch wear wrist in front of Mac display. After Auto uncloaked your Mac, You will get a notification on your Apple Watch that says Unlocked your Mac with this Apple Watch successfully.